How to set the saluation/title for a guest? Mr. Mrs etc. Please refer below steps and screenshots: 1) Righ t click on Room Number and will get "Change Stay" as shown below in the screenshot. 2) MakePlease refer below steps and screenshots: 1) Righ t click on Room Number and will get “Change Stay” as shown below in the screenshot. 2) Make changes accordingly. How to change room for guest after checked In. Please refer below screeshots, in order to change or move room that is currently allocated to guest. Then Move Room Window will apear. Select NEWPlease refer below screeshots, in order to change or move room that is currently allocated to guest. Then Move Room Window will apear. Select NEW Room that you want to allocate to the guest. How to add credit /company /direct billing /hotelier /city ledger account in eZee Frontdesk 6.0? 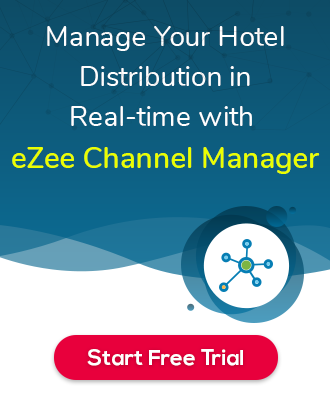 How to apply discount on the stay in eZee Frontdesk? Please find the below steps for applying Flat discount on the stay of the guest in the eZee Frontdesk: eZee Frontdesk>>Open Room>>RatePlease find the below steps for applying Flat discount on the stay of the guest in the eZee Frontdesk: eZee Frontdesk>>Open Room>>Rate Information. Click on ” Apply Discount “ then Select the ” Discount Plan “ and ” SAVE “ it. How can I find Bill template in FrontDesk configuration ? Please find the below steps and screenshot for find Bill template in FrontDesk configuration: Open eZee FrontDesk Configuration >> Advance SettingsPlease find the below steps and screenshot for find Bill template in FrontDesk configuration: Open eZee FrontDesk Configuration >> Advance Settings >> Printing option >> Print Folio operation. How can I configure Scanner in eZee Frontdesk software to scan documents of the passenger when they check in? I have created another currency. I am unable to change base currency to that currency, as this is creating a confusion to our guest with invoice in base currency. You can always print invoice in the different currency if you already have defined. Please refer the below screenshot for theYou can always print invoice in the different currency if you already have defined. Please refer the below screenshot for the same. Why Room posting numbers are vary in “Sales Summary” report. Room Service and Room posting are different. Room service is ORDER TYPE, that means can post to the room from that ORDER Type only. And Room Posting is aRoom Service and Room posting are different. Room service is ORDER TYPE, that means can post to the room from that ORDER Type only. And Room Posting is a settlement type. You can post to the room from other order types. Like, you can post to the room from Dine IN. How to add hotel and room images in eZee Front desk 6.0? How to export the folio/receipt/voucher in xls or any other format? Please find the below steps for exporting the folio/receipt/voucher in xls or any other format Step:1- Make sure the options arePlease find the below steps for exporting the folio/receipt/voucher in xls or any other format Step:1- Make sure the options are unchecked. Step:2- When to preview the Folio/Receipt/Voucher Click on the button mentioned in the Screenshot and Select the export format. How to merge split folio in eZee Frontdesk 6.0? Please find the below steps for merging the split folio: Open Room >> Rate Information >> Merge Bulk Rent. (All balance of other folios willPlease find the below steps for merging the split folio: Open Room >> Rate Information >> Merge Bulk Rent. (All balance of other folios will be moved to master folio.) You may refer below screenshot for the same. Please provide me the report which show’s all outstanding payment for guest? I m trying to make my Hotel logo looks bigger in the template is that possible ? No, you can not enlarge your property logo.It will take by default uploaded size. Also, check the bellow screenshot from here you can insert the propertyNo, you can not enlarge your property logo.It will take by default uploaded size. Also, check the bellow screenshot from here you can insert the property logo. Logo Dimension are 256X256 pixels. Can you Explain me How can I do refund to guest in eZee Frontdesk ? eZee application only allows user to refund when there is the negative balance. For perform refund operation open room >> PaymenteZee application only allows user to refund when there is the negative balance. For perform refund operation open room >> Payment information >> click on the refund for more info check the bellow Screen shots.